A good watch is more than a simple instrument these days, it can be a symbol of social status, a fashion accessory, a distinct piece of jewelry, or even a portable computer in some cases. Furthermore, a quality, finely crafted watch can be seen as a valuable piece of art or a collectible, especially if it’s crafted by a reputable manufacturer. 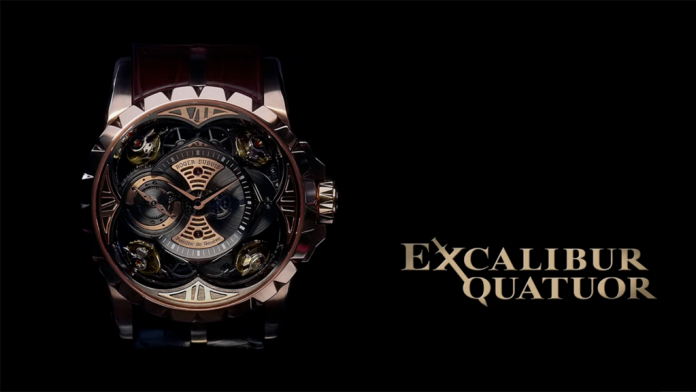 We should point out from the beginning that we won’t be talking about the best watches in existence that much, but rather the most expensive ones. Seen mostly as jewelry, these watches command quite a high price on the market due to the craftsmanship and the work put into their design, but also due to the expensive materials used when making them. Therefore, here are the ten most expensive watches in the world right now. Made from a special type of silicon that is about four times harder than titanium while being much lighter, this exquisite watch costs a little over one million dollars. We aren’t 100% sure if the watch is really worth this fairly large price tag, although the engineering that went into making it is quite impressive. You see, the Roger Dubuis Excalibur Quatuor watch uses a highly sophisticated RD101 mechanism that was designed to neutralize the effects of gravity, thus providing more accurate time keeping.